Innovations in medical technology, surgical techniques and pharmaceuticals are driving forces in advancing the medical industry. Medical device and pharmaceutical companies have traditionally sponsored prospective FDA clinical trials that led to the approval of new products. Unfortunately, there is now a lack of independent research organizations and clinical studies to evaluate emerging technologies and clinical outcomes in many brain and spinal disorders. Maintaining the highest standards of integrity and ethics, the Justin Parker Neurological Institute (JPNI) was in part created to conduct FDA clinical trials and objectively assess the safety and efficacy of novel therapies for those impacted by neurological conditions. On July 20, 2003, Justin Parker, a 22-year-old college student, sustained a severe traumatic brain injury due to an unfortunate accident. Justin’s family immediately came to Colorado to be by his side. Local hospital staff, nurses and chaplain helped the Parker family cope with several days of anguish and uncertainty until his death on July 31, 2003. While they lost a son and brother, Justin’s family gained a community of friends in Northern Colorado. Shortly after Justin’s death JPNI was founded in 2003 by Boulder Neurosurgical & Spine Associates (BNA) surgeons, Justin’s father, Dr. John Parker, and his family in memory of their son and brother. The Parker family wished to extend their appreciation to all the individuals involved in Justin’s care during his last days, while also leaving a legacy wherein Justin’s name would be synonymous with improving the lives of other individuals with neurosurgical conditions through clinical research. JPNI is an accredited 501(c)(3) nonprofit scientific research organization primarily focusing on brain and spine conditions including traumatic brain injury, tumors, degenerative spinal disorders and pain syndromes. The mission of JPNI is to advance scientific discoveries and innovative medical technologies into clinical practice. Being involved in clinical research trials promotes evidence-based medicine to the medical community helping to improve the quality of patient care. JPNI also provides fellowship and internship opportunities to neurosurgical and orthopedic spine surgeons and students who are pursuing careers in medicine. 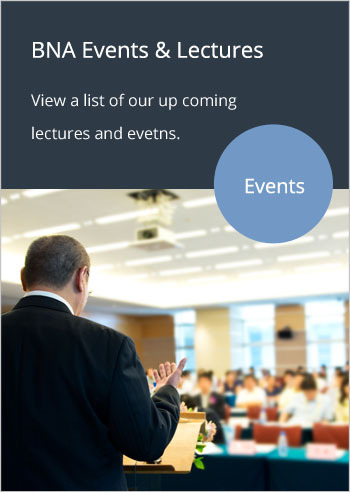 Continued medical education events are presented annually on the latest advancements in the treatment of cranial and spinal disorders to promote evidence-based medicine to health care providers. Retired, Pryor Johnson Carney Karr Nixon P.C. The Justin Parker Neurological Institute was initially established as part of the Boulder Community Hospital Foundation with the primary purpose to provide support for neurosurgical research programs and services. Since its creation in 2003, a variety of research projects have been funded and conducted. These projects have included the following: clinical outcome correlation with magnesium concentrations following traumatic brain injury; evaluating the efficacy of CyberKnife radiosurgery for trigeminal neuralgia; evaluation of computerized isocentric fluoroscopy for complex spinal instrumentation; determining the safety of outpatient instrumented anterior cervical discectomy and fusion; comparing of minimally invasive pedicle fixation versus a complex antero-posterior reconstruction for lumbar disc degeneration; evaluating the safety and efficacy of recombinant human bone morphogenetic protein (rhBMP-2) for transforaminal lumbar interbody fusion; and studying the epidemiology of back and neck pain in multisport athletes. Some of these studies were initiated and undertaken as multicenter studies in collaboration with the following medical centers: Stanford University Department of Neurological Surgery; Department of Psychology and the Center for Neuroscience at University of Colorado; Rocky Mountain CyberKnife Center, Boulder; University of Missouri, Columbia; Department of Neurosurgery at Neuromed IRCCS in Pozili, Italy; and Besta Neurological Institute in Milan, Italy. JPNI’s goal is to continue this prolific and successful collaboration in the future. The results of JPNI research has been published and presented at most major national and international neurosurgical meetings, including the Congress of Neurological Surgeons (CNS), American Association of Neurological Surgeons (AANS), North American Spine Society (NASS), World Spine and Spine Week annual meetings, Congress of International Stereotactic Radiosurgery Society (CISRS), Rocky Mountain Neurosurgical Society, and CyberKnife User’s meetings. JPNI-funded research has received the BrainLab Community Neurosurgery Award at the AANS/ CNS Section on Tumors and the Best Presentation Award at the 5th Annual CyberKnife Users’ meeting. Prospective, randomized, U.S. Food and Drug Administration (FDA)-controlled studies will remain one of the most important components in the future JPNI research activities. We also seek additional individual support from medical device companies to clinically evaluate the latest and most promising medical technologies and devices. JPNI has received sponsorship from the Colorado Traumatic Brain Injury Foundation in conjunction with corporate sponsorship from CMA Microdialysis and Nova Biomedical supporting the evaluation of clinical outcome correlation with serum, CSF and brain extracellular magnesium following traumatic brain injury. We have also received three separate grants from the CyberKnife Society to support research evaluating the clinical use of CyberKnife radiosurgery for the treatment of trigeminal neuralgia, Glioblastoma Multiforme, and spinal tumors. Part of JPNI’s educational mission is to disseminate information and share the latest developments in the field through the organization of periodical educational seminars for the local medical community. An annual symposium “Current Techniques in the Management of Cranial and Spinal Disorders” is sponsored and organized by JPNI every year. The main goal of this symposium is to provide an environment in which representatives from all medical professions involved in the treatment of cranial and spinal disorders become familiar with the newest procedures, technologies and devices in the field. In addition to the annual symposium, an annual nursing education meeting directed toward nurses of all positions and backgrounds is held to provide nurses with education on the newest topics in their field.